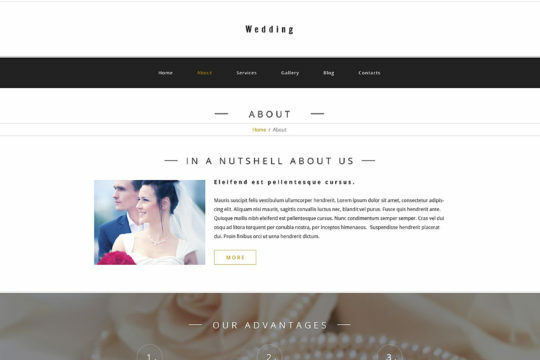 It is listed under "WordPress Theme" > "Wedding". It is developed by WT. The publisher is Template Monster. 12+ users are purchased this already. It was first get available on April 22, 2014. It was last get upgraded on April 20, 2019. Tags: Society & People, Ecwid Ready, Accordion, Sortable Gallery, Carousel, Isotope, Search Engine Friendly, Responsive, Sample content, Admin Panel, JQuery, CSS 3, HTML 5, Cherry Framework, LESS, Blog, Video Integration, Google Web Fonts, Advanced Theme Options, Calendar, Commenting System, Wedding Planner Templates, Tag Cloud, Contact Form, 3 columns, WPML ready, HTML plus JS, Back To Top Button, Dropdown Menu, Bootstrap, Tooltips, Fashion & Beauty, Home & Family, Custom Page Templates, Wedding Templates, Tabs, Slider, Crossbrowser Compatibility, Favicon, Google map, Social Options, Audio Player, Portfolio. 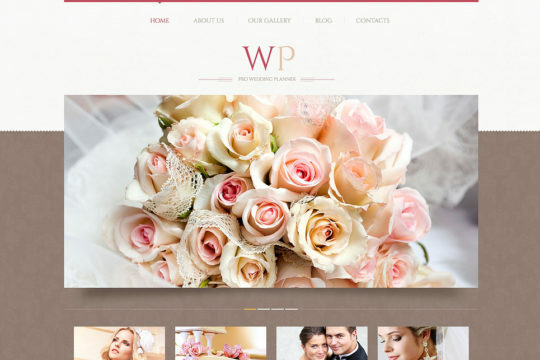 It is listed under "WordPress Theme" > "Wedding". The name of the author is Tommusrhodus. 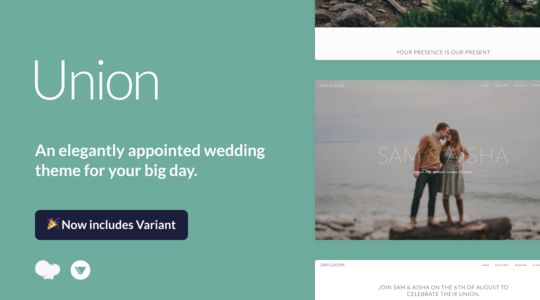 The publisher is Envato. 294+ users are purchased this already. It was first get released on May 28, 2015. It was last get upgraded on February 01, 2019. 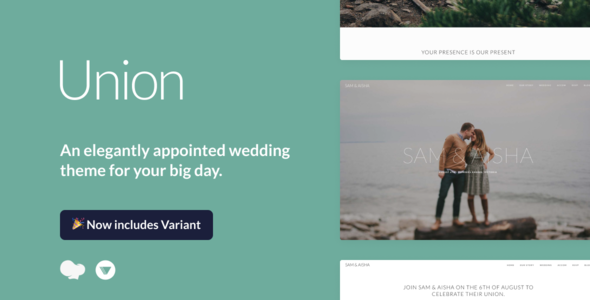 Tags: Wedding, Tommusrhodus, Invitation, Union, Elegant, Event, Page, Builder, Marriage, Bridal, Photography, Wedding Planner, Parallax. 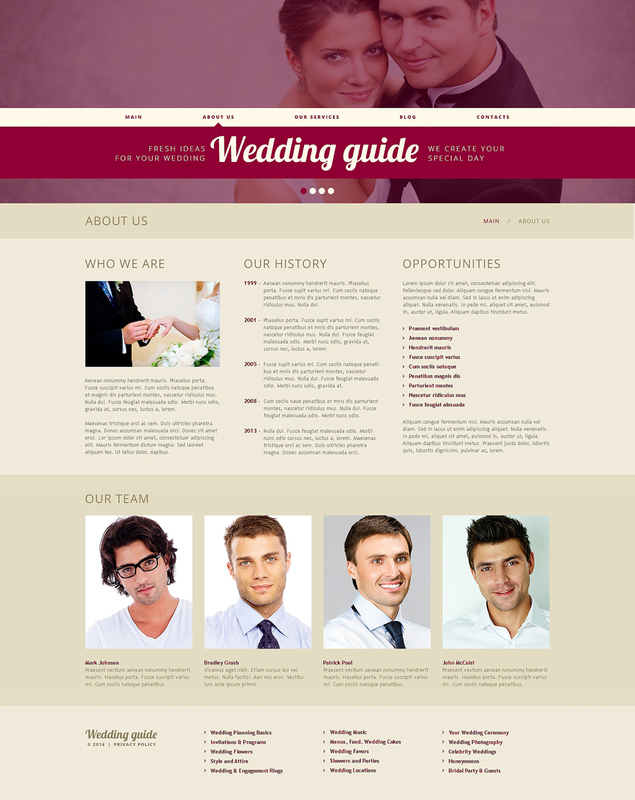 It is listed under "WordPress Theme" > "Wedding". The author name is WT. The publisher is Template Monster. 134+ users are already purchased this. It was first get published on February 24, 2015. It was last get upgraded on April 18, 2019. Tags: Crossbrowser Compatibility, Bootstrap, Calendar, Carousel, 2 columns, Admin Panel, Google map, Advanced Theme Options, Google Web Fonts, JQuery, Search Engine Friendly, Cherry Framework, Back To Top Button, Favicon, Ecwid Ready, Society & People, On-line chat, Tooltips, Portfolio, Tabs, Audio Player, Tag Cloud, Video Integration, Responsive, Blog, Accordion, Custom Page Templates, Slider, Wedding Templates, WPML ready, Isotope, CSS 3, Social Options, Sliced PSD, Fashion & Beauty, Contact Form, LESS, Home & Family, HTML plus JS, Dropdown Menu, Wedding Planner Templates, HTML 5. 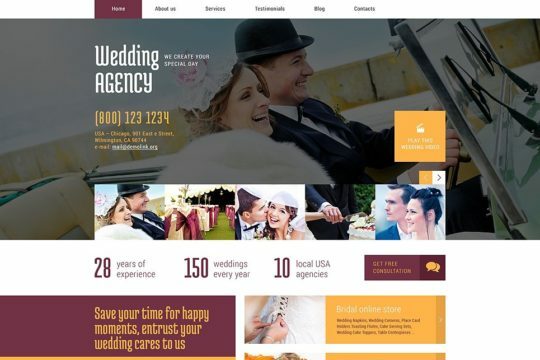 It is listed under "WordPress Theme" > "Wedding". The author name is WT. The publisher is Template Monster. More than 17 users are already purchased this. It was first get published on May 06, 2014. On April 20, 2019, it was last get upgraded. Tags: JQuery, Contact Form, Google Web Fonts, Video Integration, Society & People, Google map, Cherry Framework, Responsive, Dropdown Menu, CSS 3, Home & Family, HTML 5, Bootstrap, Favicon, 2 columns, Advanced Theme Options, Tag Cloud, Custom Page Templates, Search Engine Friendly, Social Options, WPML ready, Wedding Planner Templates, Carousel, HTML plus JS, Blog, Admin Panel, Wedding Templates, Audio Player, Fashion & Beauty, LESS, Portfolio, Tooltips, Slider, Ecwid Ready, Calendar, Sliced PSD, Isotope, Crossbrowser Compatibility, Back To Top Button, Tabs, Accordion. 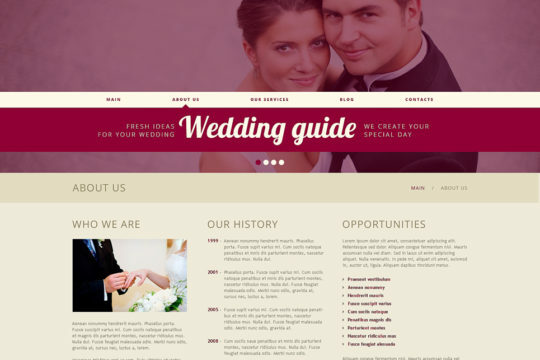 It is listed under "WordPress Theme" > "Wedding". It is developed by ZEMEZ. The publisher name is Template Monster. More than 550 users are purchased this already. It was first get released on April 02, 2019. It was last get updated on April 22, 2019. Tags: Testimonials, Blog, Sample content, Parallax, Sidebar Manager, Ecwid Ready, MailChimp Ready Template, Wedding Templates, Dropdown Menu, Society & People, Wedding Planner Templates, Search Engine Friendly, Media library, Responsive, Search Form, Social Options, Performance Optimization, Contact Form, WPML ready, Long-term support, Newsletter Subscription, Visual Editor, Live Customizer, Fashion & Beauty, Favicon, Background Options, Sample Data Installer, Google map, Home & Family, Google Web Fonts, Optimized Source Code, Retina Ready, Elementor Page Builder, Admin Panel, Blogging, Easy Installation, Advanced Theme Options, Services, Commenting System, Crossbrowser Compatibility. 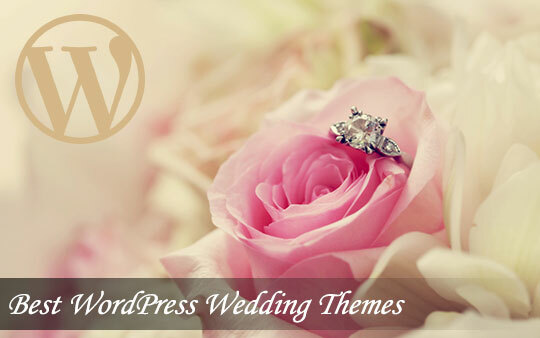 It is listed under "WordPress Theme" > "Wedding". The name of the author is WT. The publisher is Template Monster. 26+ users are purchased this already. It was first get available on July 29, 2015. On April 20, 2019, it was last get upgraded. 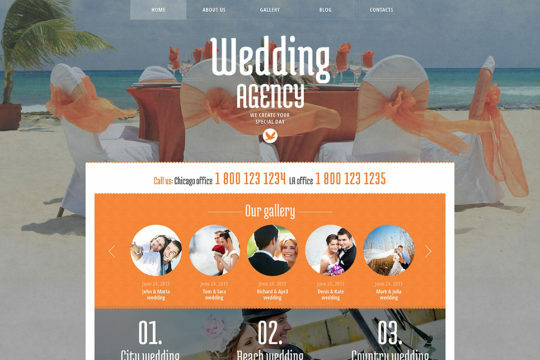 Tags: Favicon, JQuery, Dropdown Menu, CSS 3, Society & People, Admin Panel, Tooltips, Advanced Theme Options, Ecwid Ready, Google Web Fonts, Home & Family, Google map, Isotope, HTML plus JS, Tabs, Fashion & Beauty, Contact Form, Search Engine Friendly, Sliced PSD, Portfolio, Bootstrap, Custom Page Templates, Tag Cloud, Back To Top Button, Crossbrowser Compatibility, Wedding Templates, Audio Player, LESS, Slider, HTML 5, Calendar, Cherry Framework, Wedding Planner Templates, Carousel, Social Options, WPML ready, Accordion, Responsive, On-line chat, Video Integration, Blog. 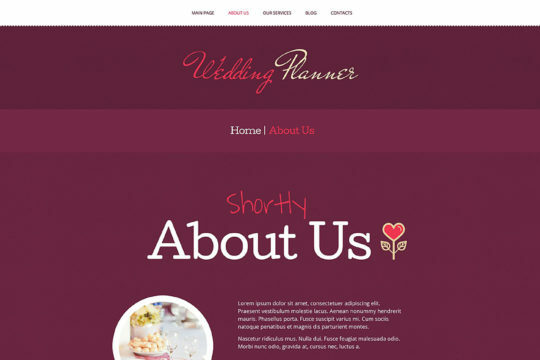 It is listed under "WordPress Theme" > "Wedding". It is developed by WT. It is available at Template Monster. 32+ users are already purchased this. It was first get published on March 01, 2014. It was last get updated on April 12, 2019. 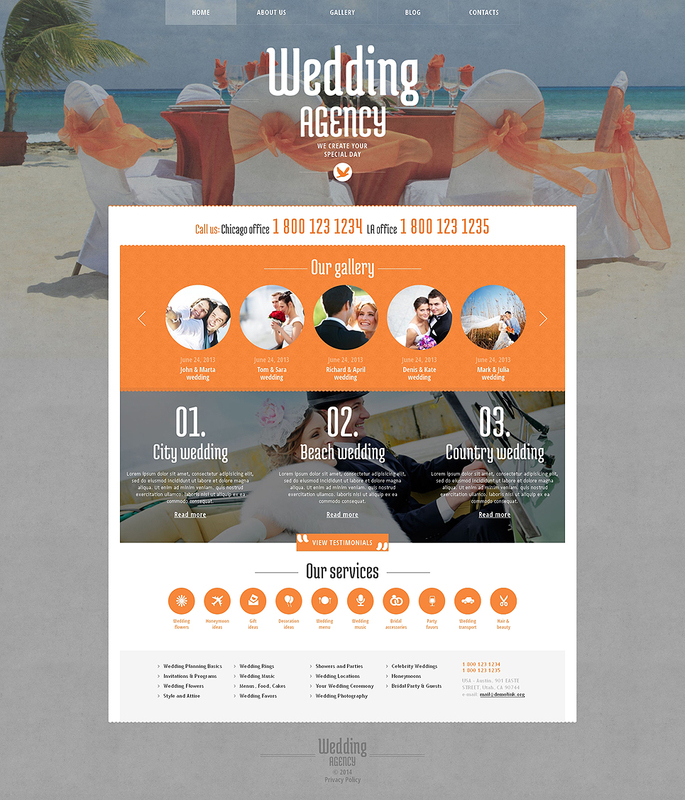 Tags: Social Options, Fashion & Beauty, Advanced Theme Options, Bootstrap, Wedding Templates, Tooltips, Sample content, Commenting System, Sortable Gallery, HTML plus JS, LESS, CSS 3, Custom Page Templates, Wedding Planner Templates, Isotope, Dropdown Menu, Portfolio, Search Engine Friendly, Video Integration, Google Web Fonts, HTML 5, Audio Player, Ecwid Ready, WPML ready, Back To Top Button, Cherry Framework, Responsive, JQuery, Google map, Society & People, Calendar, Contact Form, 2 columns, Carousel, Slider, Crossbrowser Compatibility, Admin Panel, Tag Cloud, Favicon, Blog, Tabs, Accordion, Home & Family. 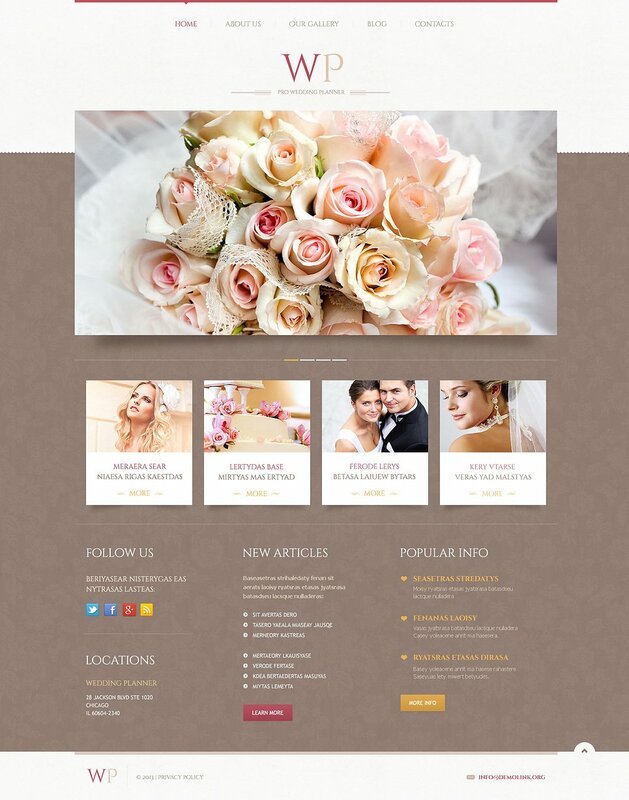 It is listed under "WordPress Theme" > "Wedding". The name of the author is WT. The publisher name is Template Monster. More than 258 users are already purchased this. It was first get published on August 17, 2013. It was last get upgraded on April 23, 2019. 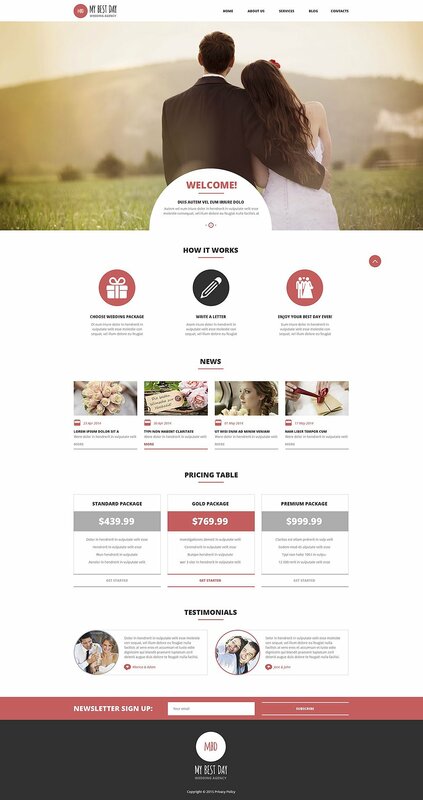 Tags: HTML plus JS, Custom Page Templates, Admin Panel, Responsive, Dropdown Menu, Contact Form, CSS 3, Advanced Theme Options, WPML ready, Wedding Planner Templates, Favicon, JQuery, Video Integration, Home & Family, Blog, Social Options, LESS, On-line chat, Google map, Accordion, Tabs, Isotope, Calendar, Audio Player, 2 columns, Society & People, Portfolio, HTML 5, Google Web Fonts, Search Engine Friendly, Back To Top Button, Tooltips, Carousel, Slider, Cherry Framework, Wedding Templates, Bootstrap, Fashion & Beauty, Sliced PSD, Tag Cloud. Feel free to use the comment form below to share your thoughts, idea, review and/or experience to our community. We will be glad to publish your comments. Wow!! 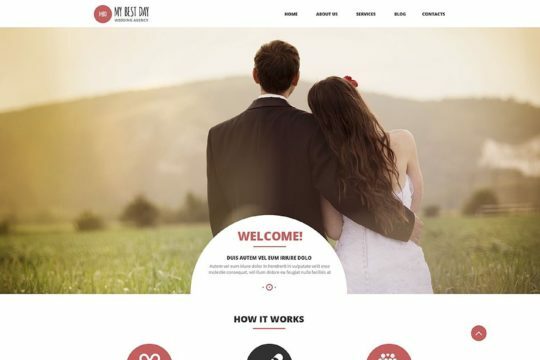 Amazing collection of wedding themes, I would like you to take a look at this Free Wedding responsive theme: TwoGether. 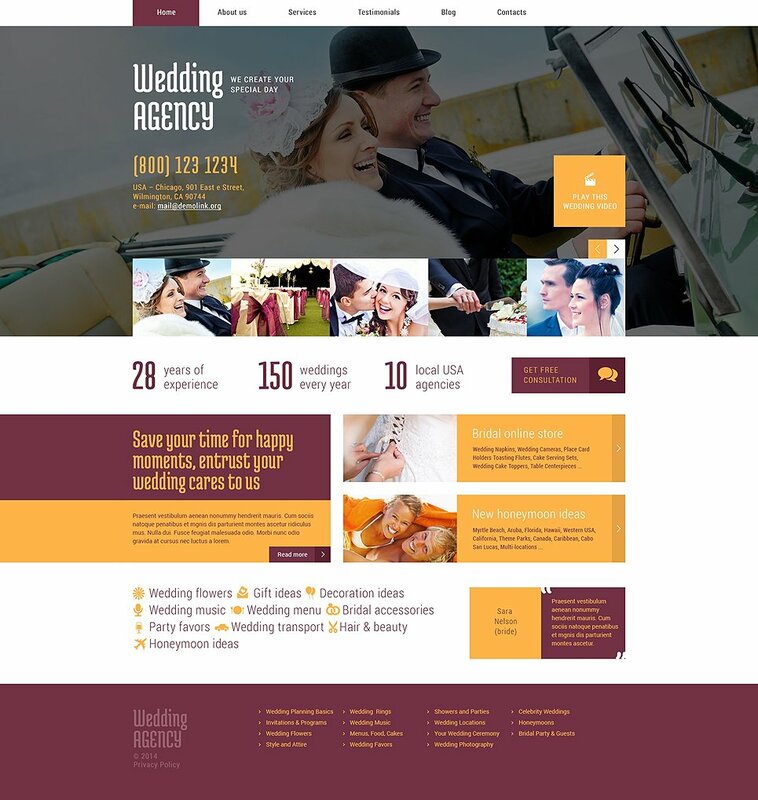 Thanks for sharing a fantastic list of WordPress wedding themes.